A-Med, Inc. Medical Equipment and Supply helps healthcare providers and patients at home have better tools for mobility and transfers. 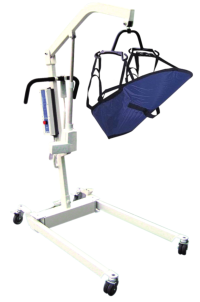 We offer Patient Lifts and Slings, manufactured by the most trusted producers and distributed by reliable brands. We have Patient Lifts and Slings for all types and sizes of patients.